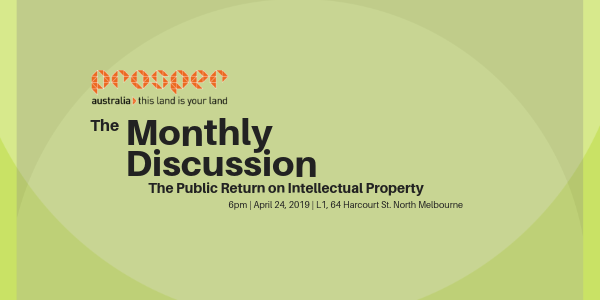 In a world of rapid technological development and innovation, how can the public ensure a fair return on Intellectual Property (IP) monopolies while furthering investment in R&D and technology? As time goes on, the advancement of technology sees the value of some patents rise and an increasing concentration of “winner takes all” industry players. Is the public getting a fair share of these monopolies? Some propose there are better ways to charge for artificial IP monopoly protection than existing Patents system, such as the Declare Value System. A patent value tax? How could we further boost innovation, R&D and create public value? This month we will be joined by guest speaker Dr Adrian Soh – author of Making Science Work for All, explaining how we achieve both these goals. There will be the usual wine, beer and pizza (no innovation on that front yet… except for the beer maybe). So come along, All Welcome!